Maggie’s puppies had their first meal with kibble mush (dry dog food soaked in water and mushed up). They loved it! Here they are being ever so polite at the table! That’s Rain off to the right. Iris is at 7 o’clock. Violet is at 6 o’clock. And Sky is at 5 o’clock. And we also moved to the “Big Puppy Pen” over the weekend so now they can see everyone else in the room. They are so happy with their dangling toys, litter box and freedom to roam around more. 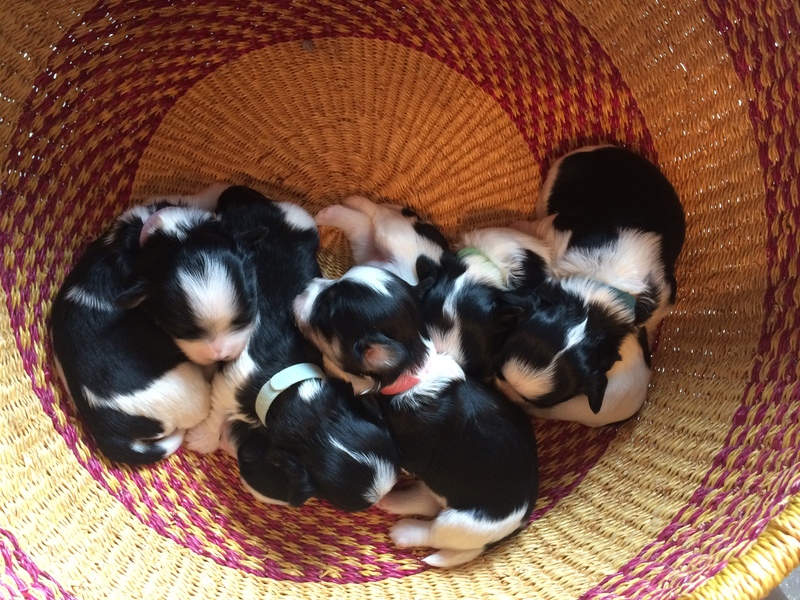 Posted in: AKC Havanese puppy, AKC puppies, Carneys Haven, Havanese puppies. Florida Havanese. Puppies. Florida breeder. AKC puppies.